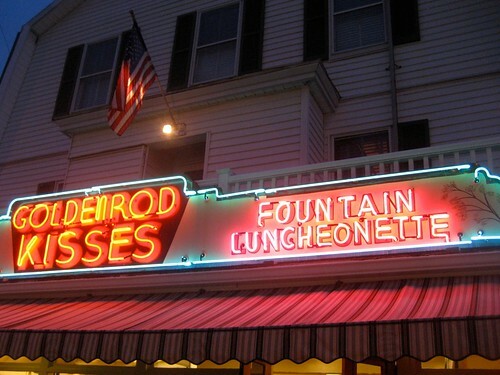 The Goldenrod in York Beach Maine is on my short list of favorite vintage visits each summer. 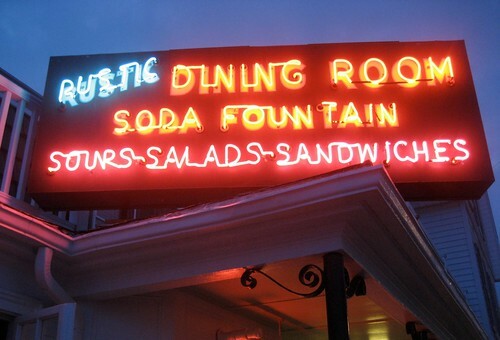 Opened in 1896, my first visit was only in the past 12 years or so, but from the moment I saw their great neon signs and stepped into the Rustic Dining room, I felt like I was part of a great local tradition that hadn’t changed much in over 100 years. 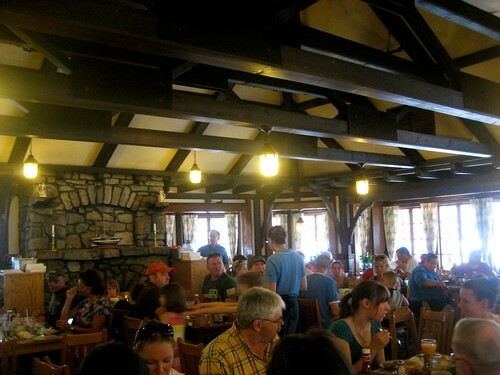 Each summer for a number of years before I moved away, my long time pal Jeannie and I would meet at the Goldenrod for lunch in their wooden beamed old fashioned dining room. 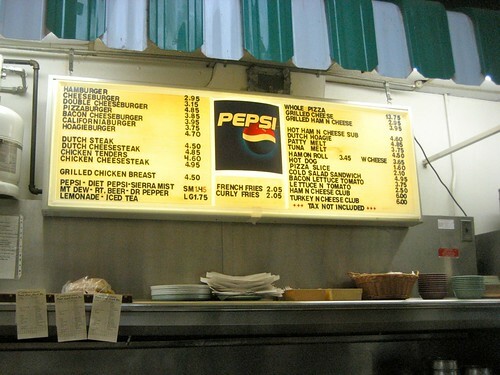 I took the fact that they did not serve french fried as a side, but rather just chips, as a sign of their old fashioned quaintness, and, indulging in a crab salad sandwich, I felt like I was in a place that my grandmother and her “cronies” would lunch at – a tasty destination and excuse for a drive up the coast. After our chatty lunch, and too full to order the ice cream sundae with that rare local delicacy penuche sauce topping, Jeannie and I would poke into the small gift shops surrounding the quaint convergence of roads known as the downtown of York Beach, Maine. Or we’d amble down to the water at the beach across from the Goldenrod and dip our toes in the ice-cube freezing water, long enough for our toes to curl up and cramp, then sit on a blanket and catch each other up on our lives. 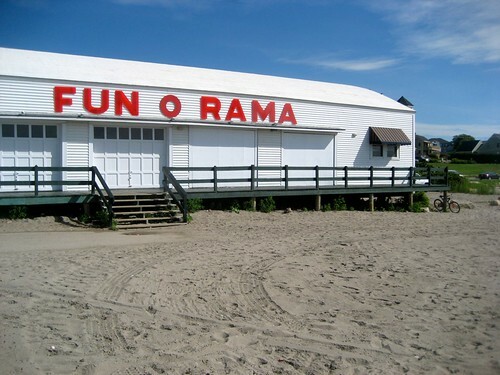 Occasionally we’d play a game of skeeball at the Fun-O-Rama. 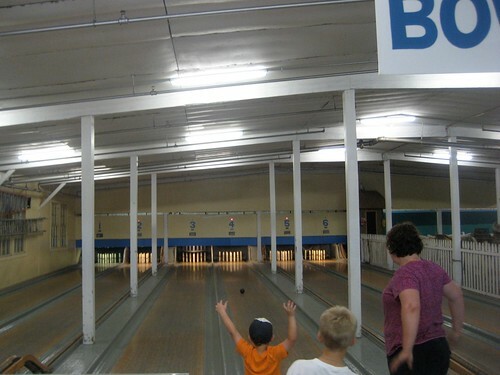 Or toy with the idea of candlepin bowling just steps from the sand. Perhaps a leisurely stroll through York Wild Animal Kingdom, where we’d laugh remembering our pre-teen visits there, where we’d all thought that the guy running the go-karts looked like Paul McCartney. All in all, plenty of fun ways to while away a summer afternoon, while also making room for that once-a-year dessert treat, before returning home. 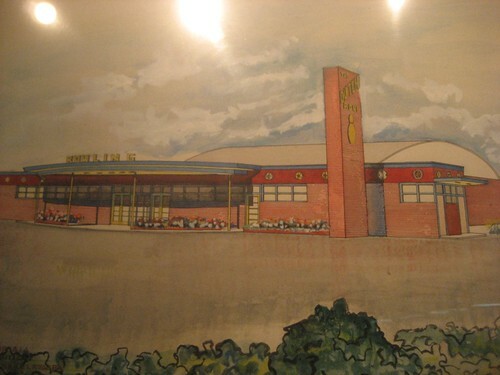 Because the Goldenrod is only open seasonally, Jeannie and I had not relived our “old lady lunches” in a number of years, and since I knew I HAD TO get the Goldenrod onto the Retro Roadmap for you all, I started planning our visit back in May. The weekend confirmed, I looked forward to it greatly, and not even the thought of my newly broken foot would keep me from the 7+ hour drive up there! Our weekend visit took a turn for the incredible when I found out that we would not just be driving up for the day, but that relatives of Jeannie’s had graciously offered to let us stay at their beach house, just steps from the rocky shore, and with a wonderful vintage chaise lounge for me to rest my heavy foot on. 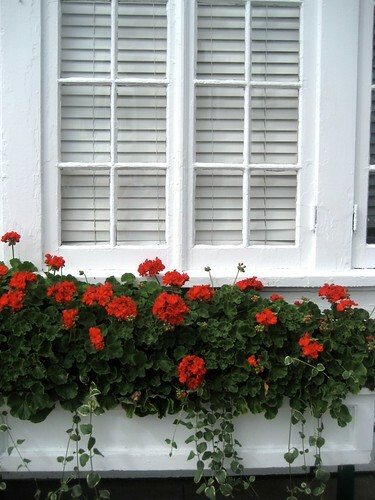 Since my plans of traversing the town and as much of the Maine coast as I could had been thwarted by my injury, the oversized porch became a wonderful place to stay and recuperate. 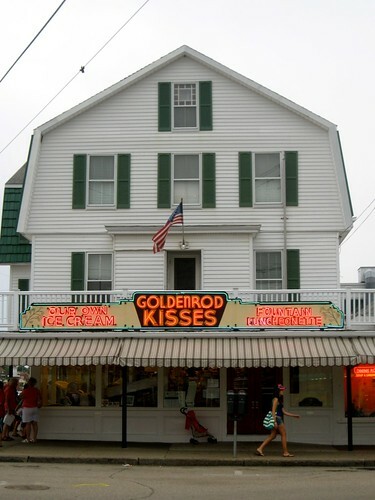 The Goldenrod, with it’s classic New England beach house look, white paint, red geraniums and green awnings, looked good at every time of day, but it wasn’t ’til the last day of our visit that our schedule aligned so that we could grab a bite there. (a relaxed lobster lunch the day before and unexpected dinner invitation left me without room to truly savor what I had driven 7 hours to eat, and I wasn’t about to miss that taste). The Rustic Dining Room was abustle as soon as we walked in so we found ourselves at the marble soda fountain counter not much past 9am on a Sunday morning. 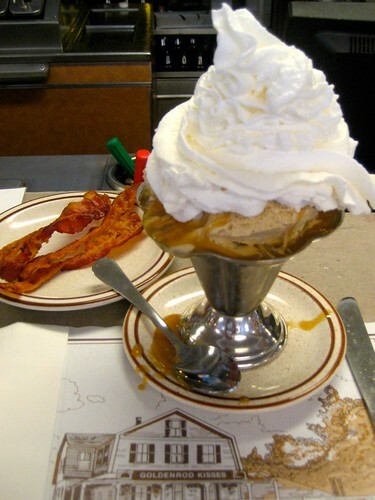 Our waitress took it in stride when I ordered a “penuche sundae with coffee ice cream, whipped cream, no cherry and a side of bacon, please” while Jeannie had a cup of coffee. I’m sure there were more glances cast askew once my “breakfast” arrived, but I only had eyes for what was in front of me – a delicious combination of hot/cold/sweet/salty/creamy/crunchy. Heaven! Jeannie couldn’t resist and did have a spoonful of her own to savor, and we both left the counter contented. 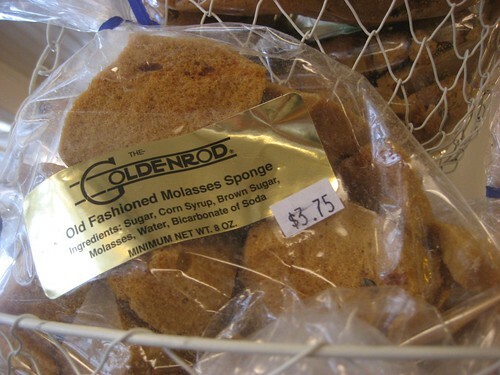 A quick turn ’round the gift shop and candy counter revealed another layer of old fashioned wonderfulness in some of the candy choices still carried by The Goldenrod, including chocolate covered Needhams, Boston Baked Beans, and my fave Molasses Sponge. Feeling a bit like the grandmother I referred to earlier, I found some bright red barley sugar “lobster pops” for the Retro Roadkids, a handful of postcards from this wonderful old establishment, and hobbled out the door to my car. After a quick hug goodbye to my dear pal and a wonderful weekend, I was pleased to no end to know that the Goldenrod was still going strong, and would give that “stepped back in time” feel to everyone, for years to come. After I had such unexpected luck at the charming 222 Bowling Alley I decided to pop my head into a few more lanes that I passed on my Retro Roadtrip. 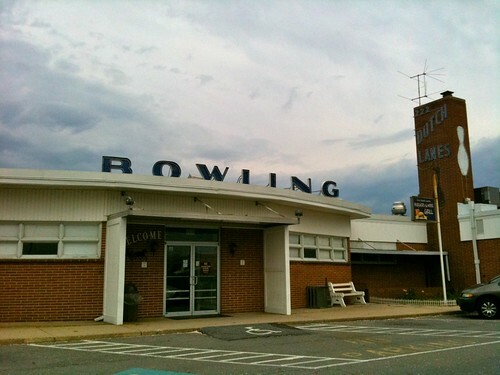 None were quite as well preserved, but I did find this treat of a sign at the Lincolnway Bowling Alley in York, PA, visible from Route 30, The Lincoln Highway. 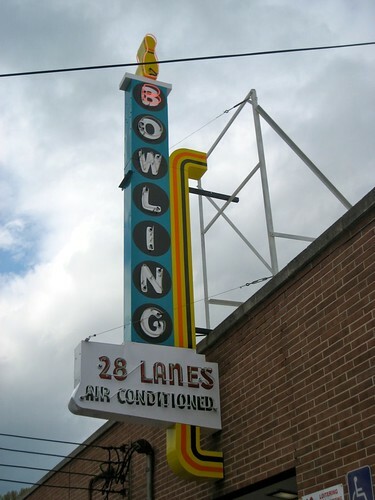 It wasn’t the best of picture taking days (see impending storm in post about the 222 Lanes) but this sign looks vintage, colorful and very well preserved! Click here to see a photo from i saw the Sign (& i am happy now)’s visit to the sign, to see more of the neon lit up, I just got the B! 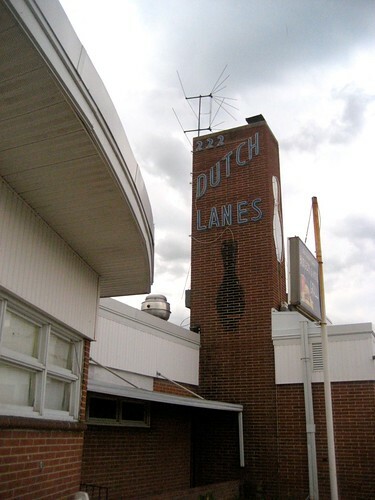 Dutch Lanes Bowling and Lunch Room Ephrata, PA – Right Up My Alley! 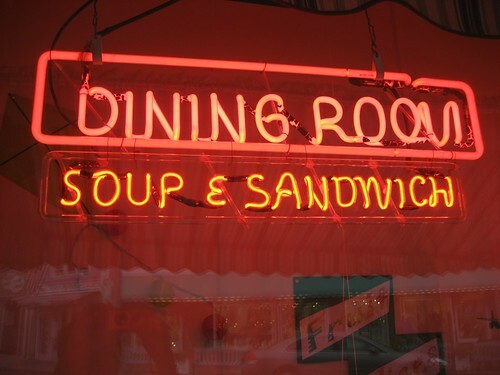 I never planned on eating dinner in a bowling alley, but when I saw the vintage looking signage outside of 222 Dutch Lanes on Oregon Pike in Ephrata PA, I knew I had to check it out, despite the impending torrential rainstorm. As I walked up to the door, the Retro Roadphone rang and it was RRHusband at his gig up the road. He was calling to inform me that he had been given a meal already and that I’d probably have to fend for myself en route to said gig. No big deal, I’m flexible like that. 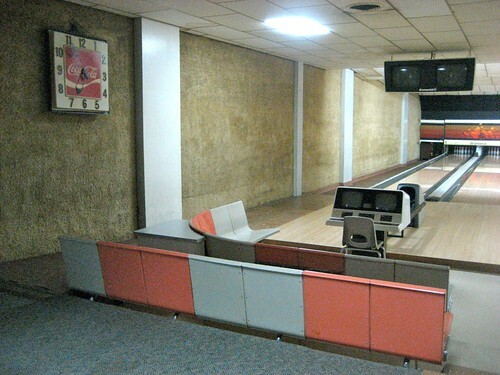 As I entered I noticed that the place was brimming with bowlers and I was pleased enough to find that the interior of this bowling alley had not been “cosmic-bowl-ifed” and retained some retro charm. I say retro, because I can’t bear the thought of a pong-like score keeping computer being vintage, just yet! 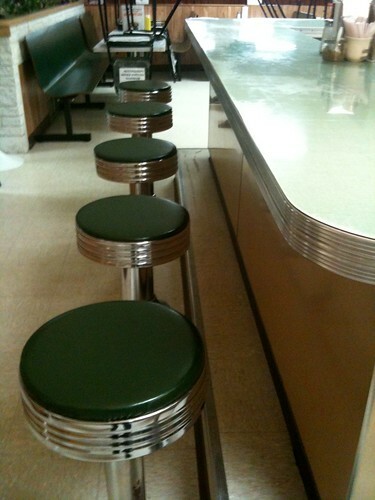 As I looked closer however I saw that their snack bar/ lunch counter had a wonderful looking vintage counter and grill setup. Why not give it a whirl, I thought? Can’t be any worse than the Sonic next door. 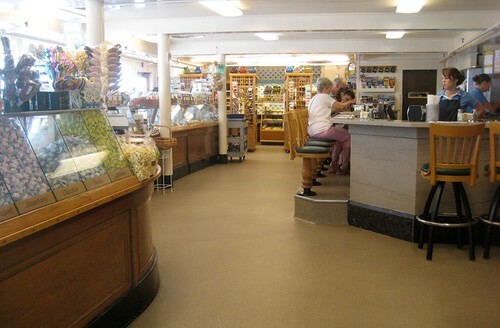 And I could not resist the charm of the well kept swivel stools and green window awnings used indoors (as seen in this photo from their website). I admit I did feel a bit out of place when I sat at the counter and ordered my burger, but the young bucks tending to the food were friendly and polite. The girls next to me (ogling said bucks) were too engrossed in their ice creams and awkward flirting to give this old gal much more than a sideways glance. I busied myself with taking surreptitious photos, absorbing the Friday night bowling scene and feigning interest in my cell phone screen. As I swiveled in my seat I could see that the alleys were packed with Friday night bowlers and there were plenty of booths just past the counter that are hopefully filled during lunch, and even breakfast time. Most folks here seem to want their food brought to their alley, which makes sense. I watched as the grill”man” took care with the burgers and various local delicacies such as Dutch Steak (?) 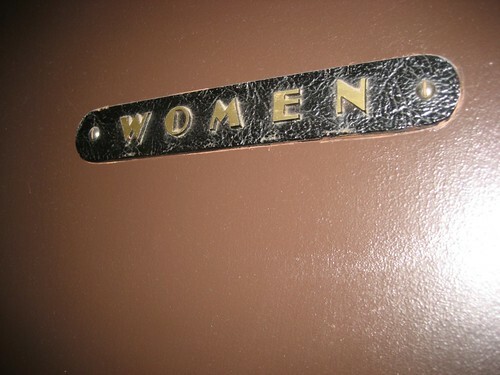 and I just have to I just have to wonder what a cold salad sandwich consists of. My burger arrived promptly and it hit the spot (definitely better than Sonic would’ve) on this overcast and chilly Friday night. Knowing my time here was limited, I paid my tab promptly, tipped heavily and snapped a few more surreptitious photos on my way out. On the way out I noticed that they had a vintage looking mini golf course just next to the bowling lanes. I would’ve snapped some photos of the mini golf course, but the wind was blowing hard, skies getting dark and all the buds were blowing off the flowering trees- a storm was approaching indeed! I snapped one last photo before the rain began pelting down, but I knew that RRH and I would have to make a proper return here, for bowling, mini golf, better photos and to figure out what a Dutch steak sandwich is!